What Can Sesame Street and Mr. Rogers Teach Us? 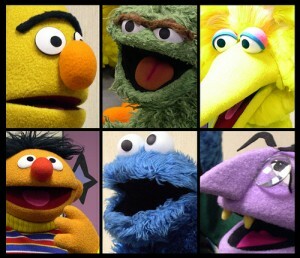 Have you ever wondered why Sesame Street has lasted so long as a top childrenâ€™s television show? There is a Sesame Street clothing line, Sesame Street toys, computer games, and many other recognizable Sesame Street icons all throughout American culture. Another famous and long lasting childrenâ€™s television show was Mr. Rogerâ€™s neighborhood. Whereas Sesame Street is loud, past paced, and introduces new technology as it is developed, Mr. Rogerâ€™s neighborhood changed very little over the years proceeding Fred Rogerâ€™s death. Mr. Rogerâ€™s neighborhood used the same hand puppets that were first used when the show began. The show followed the same flow over the years, with the famous changing of the shoes and sweater, to the trolley going to the magical world of the neighborhood of Make-believe. It was slow and often a monotone monologue with Mr. Rogers. Mr. Rogerâ€™s Neighborhood did not have the marketing arm as Sesame Street had yet there it was day after day for children and their families. In comparison to the previous successful childrenâ€™s organizations would be the decline and seeming failure of the U.S. governmentâ€™s Head Start program. From its inception in the 1960s, the founders conceived of Head Start as much more than an educational program. The health, nutrition, motivation, and self-confidence of poor children were deemed to be at least as important to their future well-being as their academic learning. Another feature present from the beginning was Head Startâ€™s rule that parents be involved in running each local program. A rationale for that principle: building parentâ€™s self-esteem would help develop their childrenâ€™s. 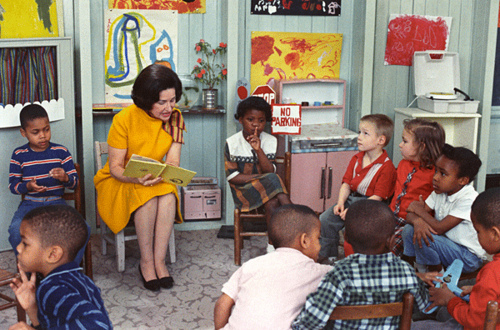 In short, Head Start has not been primarily an academic program. Instead of staying focused on teaching academic facts, they allowed this one admirable goal to be encroached by other goals and objectives. By allowing themselves to become sidetracked they are not reaching their ultimate and most important objective, the childrenâ€™s ability to be successful in future educational excellence. Head Start believes that by helping children get a solid educational foundation, when they are young, they will be far more likely to do well in later schooling. However, instead of giving them the essential academic information needed, they have become side tracked with issues like self-esteem and nutrition. If we are to make it over the long run, we must not allow ourselves to become sidetracked from our ultimate purpose as a church. Matthew 28:19-20 tells us the Great Commission of the church, â€œTherefore go and make disciples of all nations, baptizing them in the name of the Father and of the Son and of the Holy Spirit, 20 and teaching them to obey everything I have commanded you. And surely I am with you always, to the very end of the age. (NIV)” This is Godâ€™s instruction for what the church is to be doing. Every action taken by the church should be compared with this passage as the standard. E.D. Hirsch. The Schools We Need (New York, New York: Doubleday), 46.